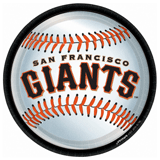 Come join us as the HIMSS Northern California Chapter kicks off a new season at the 2018 Fall Networking and Giants Game. We return to the popular Perry's Restaurant on the Embarcadero followed by a Giants vs. Padres game at AT&T Park. Network with other healthcare professionals, meet the members of the board, and learn about our calendar of programs and opportunities to become involved in the chapter. We encourage all HIMSS members to bring a friend and enjoy networking with the Northern California HIMSS Chapter Board.